Telescopes don’t cost a fortune for beginners, but that doesn’t mean they don’t have all of the great features. Whether it is someone in their teens or an adult that is just getting into astronomy, the list below will give you a good handle on the telescopes that will help them to develop their hobby further. 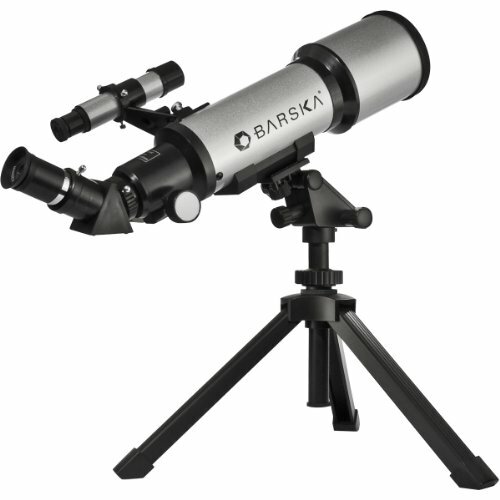 This low priced product coming in options of 50mm or 70mm is a good beginner telescope. Images are easy to see a night due to the coated glass optical elements, which also helps for keeping views orientated. When pointing to located objects you won’t have much of a hassle with the help of the smooth functioning altazimuth mount. Keeping steady while looking at the most faraway star has never been easier. The tripod also helps with keeping things steady and is preassembled so there is less work on the initial install. No tools are required to set this great device up, and since both versions come with a backpack, it’s easy to pack up and carry with you wherever you want to take it. 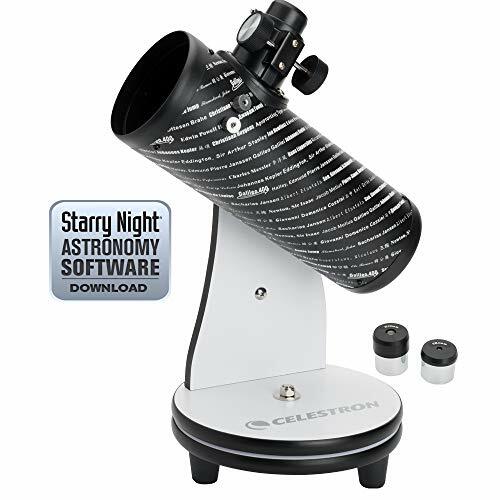 Like all Celestron products it comes with astronomy software containing several thousand objects and enhanced images to look at. Dimensions of the product come in at about 18x7x14 with an incredibly light 3.3 pound frame. Not bad for the first product on the list, and it is more than acceptable for beginners. The only hard decision is deciding between the 50mm and 70mm versions. Celestron makes another appearance on the list with their low priced FirstScope Telescope, a minimalists’ dream. There is a 76mm aperture reflector optical tube for great viewing at any angle, with enough natural light gathering to make it a challenger on the list. The tube sits pretty sturdy on the base but is movable for full navigation while viewing. This is probably going to be the lightest telescope on the list, and is an absolute no nonsense solution for someone that just wants to set up and view without any major variables. Two eye pieces are included so it does have some customization, but that’s it. The FirstScope is very much an entry level telescope for beginners that don’t want a complicated setup. Weight is only 1 pound more than the previous product at 4.5 pounds, and it has smallish dimensions of 9x9x16. As one of the few telescopes on the list that you can carry around in your hand, it has just enough power to make it perfect for its size. There are some detailed instructions included for use, but it’s really not needed. The best scope on the list for a minimalist is here, and will not disappoint in the slightest. This telescope is a low priced addition to the list that is all about options for the beginner, and may confuse some purchasers. 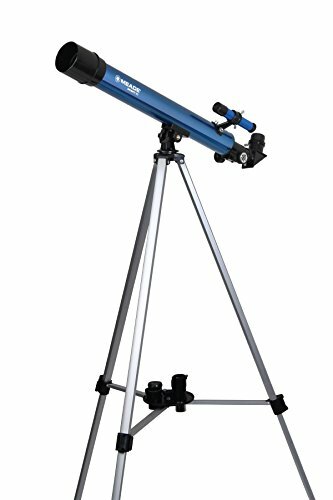 So in concentrating on this particular model (blue) customers will get a very capable telescope that does just enough to see planets and stars. Aperture is one of the weakest on the list at 50mm but with a focal ratio of f/12. The focuser is a well proven Rack and Pinion that is steady and useful for buyers that have never used a telescope before. Using the altazimuth mount to point the telescope is one of the easier tasks you will handle when looking at the stars. Viewing situations can be managed by the low, medium and high magnification settings that remain crisp and clear when looking at faraway objects. Since a 2x Barlow lens is included with the purchase, buyers can get even more magnification power. An instructional DVD with Astronomical software is included to get you started, with everything in laymen’s terms so that it doesn’t scare away beginners. This is surprisingly one of the better scopes on the list with a lot of great features that makes it a prime choice for beginners. Once again hitting the low price range is this telescope that has a multitude of rich features so that you don’t miss anything in the sky. Focal length is 400mm with 300x power, enough to put it near the top of all the scopes on the list when it comes to raw magnification. Image brightness is enhanced thanks to the coated glass optics and using the interchangeable eyepieces with the 3x Barlow lenses gives customers a lot of options when it comes to night time viewing. A lot of this may overwhelm the beginner so they included a copy of Deepsky Astronomy, a top astronomy software that has been recommended by several customers. This is a portable unit that comes with a carrying case and adjustable tripod, capable of fitting in your lap on long drives in needed. With a limited lifetime warranty, this durable piece of equipment is really a hard one to pass up for beginning astronomers. For the current price, this is a real bargain and very much worth your money if you need something for a beginner. Probably the sleekest design on the list, the Orion 8945 SkyQuest XT8 Classic Dobsonian Telescope has an 8 inch reflector optic that powers through and lets you see Moons, planets and other space phenomena in close up crisp detail. Because of the way the unit is built it has a great way of naturally gathering light to the tube. The high priced telescope is feature rich enough to last you through the beginning stages of astronomy and still serve you well through the expert stages. Using the stable base you won’t have to worry about this tipping over, and included accessories of a 2 inch Crayford Focuser and EZ Finder II reflex sight will really round out the value of this package. With some incredible worth going into this small scopes box, buyers will have this one for a lifetime. Second to last on the list is the high priced StarSeeker IV which aims to give you years of value all in one package. It has one of the largest apertures on the list and is the largest of the Orion lineup. It has a full 150mm aperture for vivid, clear and crisp images. Take advantage of the GoTo database that houses over 42,000 objects and has a Tour mode that’ll give automatically guide you to some of the hottest spots in the galaxy. The GoTo hand controller is a full feature remote that takes little to no reading from the instruction manual to get used to. And with included accessories like a power-doubling 2x Shorty Barlow, detailed MoonMap 260, view enhancing Moon Filter and an AC to DC adapter, you’ll have everything you need to get started right out of the box. This is another huge win for Orion and will function great as a beginner telescope. Last on the list is this low priced Celestron COSMOS 60AZ Telescope with a 60mm refractor that gets a nice boost from the special edition COSMOS eye nebula graphic. It looks and functions like a collector’s edition, and has a good amount of power. You can enjoy both terrestrial and astronomical use with the clear images from the coated achromatic glass. Combining the permanently mounted finderscope with the no tool setup means less time fiddling with the particulars and more time stargazing. Because this is a rugged item from the ground up the tripod and its steel legs won’t budge unless you want them to, giving you distraction free viewing. For this telescope only, part of the proceeds from the purchase benefits the International Dark Sky Association which works to minimize light pollution. A good way to end the list, beginners can be charitable and still get one of the best telescopes on the market. For buyers that want a complete beginner experience with all of the bells and whistles, the medium priced Orion StarBlast 90mm AZ Telescope is a dazzling introduction. It features a powerful 90mm aperture with 660mm focal length telescope that gets both long and wide shots in the most perfect way possible. Moving objects can be followed thanks to the altazimuth mount equipped with slow motion controls. Tracking objects in the night sky has never been easier, and you won’t lose track of a passing comet. Magnification is doubled for both eyepieces with the Shorty 2x Barlow, and before you even get everything set up you can organize your sessions with the Star Target Planisphere and MoonMap 260. As an extra for beginning astronomers they included a guidebook named “Discover the Stars” that is as comprehensive a beginning book that you can get. The scope is so powerful that it is even capable of nice daytime viewing. By the time most users get around to the extra features they will already be too excited to finish reading the instructions and books. This is one of the top 5 choices on the list and a perfect buy for beginners. The first high priced item on the list is the Orion 8974 SkyQuest XT8 PLUS Dobsonian Reflector Telescope, an incredibly powerful product for beginners that want to get an absolute beast when it comes to magnification. Buyers will also get the best finish on the list with the show stopping metallic blue optical tube. Built on a redesigned base, the easy to reach altitude tension knobs are adjustable enough to give you the best experience possible. Using the thumbscrew feature for the secondary mirror means you don’t have to carry about extra tools to adjust it. The 2 inch dual-speed Crayford focuser has a powerful 11:1 fine focus. You’ll get the sharpest views with the quickest alignment times. Included accessories in the package are 1 2 inch 28mm DeepView eyepiece, 1.25 inch 10mm Sirius Plossl eyepiece, Safety Film Solar Filter, a Shorty 2x Barlow, eyepiece rack, EZ Finder II reflex sight and a collimation cap. This is an incredible deal that may be too much for a true beginner, but for an ambitious beginner it could be the best product they have ever purchased. This is the best telescope on the list and really drives home the value of an Orion. Functioning as the little brother of the XT8, the Orion 08985 SkyQuest XT6 PLUS Dobsonian Reflector Telescope is a high priced scope that does not shy away from its power features. The base has been redesigned from previous models and includes an adjustable altitude tension that holds in place the beautiful twilight blue optical tube. No tools are required since the secondary mirror has knurled thumbscrews embedded in it. And as a show of great craftsmanship Orion put white trim on the base so that you can see it in the dark. As an upgraded version in the series the accessories within the box are 25mm and 10mm Sirius Plossl eyepieces, a collimation cap, EZ Finder reflex sight and a Safety Film Solar Filter. If the XT8 is a bit too much for you, then this version may be just what the doctor ordered. 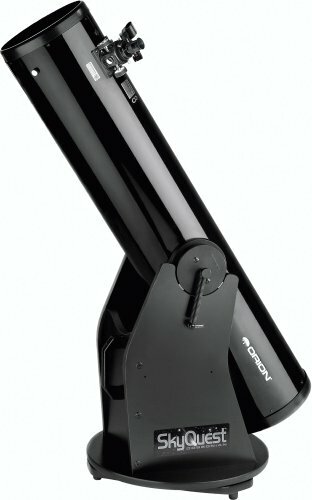 Another expensive telescope on the list is this high priced Orion 27194 XT8 Classic Dobsonian Telescope, which has an overall package that really puts it in the top 5. 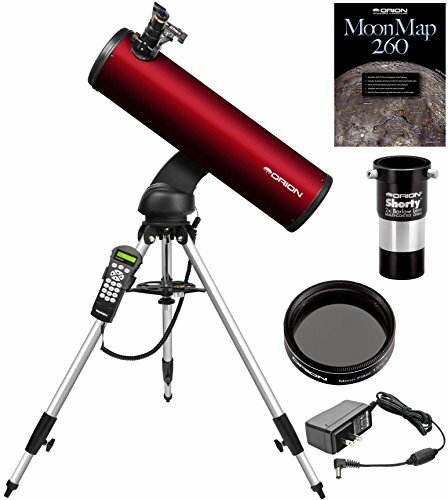 Featuring a 203mm aperture with a 1200mm focal length Dobsonian reflector telescope, buyers will get the best images available for the most faraway planets and moons. Using a point and view system keeps beginners from wasting time trying to find targets in space. You can be set up and on target in minutes if you use the built in features. Magnification can be doubled with the Orion 2x Shorty Barlow Lens, enhancing any 1.25 eyepiece to a professional level of zooming. But the value that puts this over the top is the Stargazers Toolkit which serves as a complete reference material for beginners. And if you need to use it at night they even bundled in a small LED light. If bought separately, this can easily go for a lot more than what they are giving you all in one package. Orion continues to dominate the list and once again has one of the best telescopes for your money. Sticking to the low price range is the Orion Observer 60mm AZ Refractor & Starter Kit which is built from the ground up for beginners. 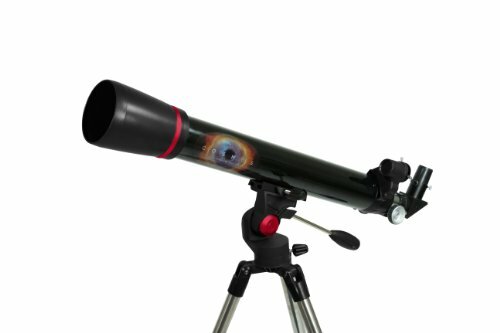 Kids and adults can view planets, stars and more with the 60mm refractor. It utilizes 60mm glass lens with 2 included 1.25 inch eyepieces so that the magnification options are completely customizable. This is a quality product that skips using cheap plastic lens so that you get the best experience possible. Like the previous item this includes an Astronomy book, but one that is fuller featured. It provides a full introduction to backyard astronomy and will be an essential tool in the growth of any young astronomer. Also included with the bundle is the Orion MoonMap 260, a full guide to all of the craters and features that have been recorded on the moon. And the most important accessory is the included Star Target planisphere round star chart that helps you to find out what’s in the sky on any day of the year. Probably the best full featured set for a beginner, this is another top 5 product that knows its niche. Orion makes another appearance with the low priced Orion 11043 SpaceProbe 3 Altazimuth Reflector Telescope, a lightweight item that gives you plenty to work with for a nice price. It features a 76mm aperture reflector telescope that can view moons orbiting Jupiter, some nebulas, and even the Moon. Using the stable altazimuth mount with the tripod means that all motions will be buttery smooth on its sturdy base. You can find celestial objects using the EZ Finder II reflex sight that takes seconds to align and uses a red dot to mark the object you want to track. 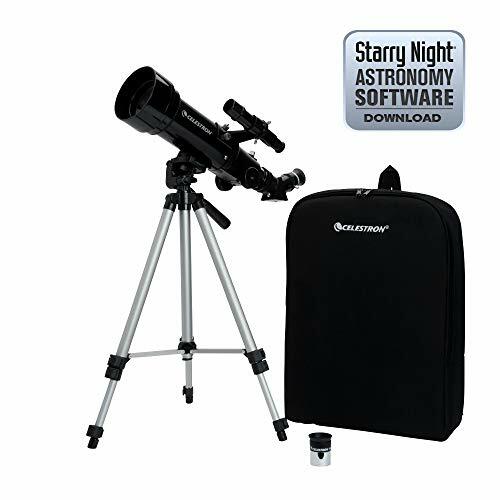 Included with this great scope are two 1.25 inch telescope eyepieces, a smooth rack and pinion focuser, reflector collimation cap and the popular Starry Night astronomy software. Even with all of these extras it is very much portable and only weighs 13 pounds with dimensions of 40x24x24. The durability is pretty solid and it has enough features to keep even intermediate astronomers interested. Currently the technology is still widely used in the market so it’s a good one to look at. Customers will love this purchase as it gives them just enough for their money’s worth. With the conclusion of the list, you should have a good idea of the best telescopes to purchase for beginners. Many of these are so great you can even purchase them for intermediate or expert users. Even if you give any of these as just a gift, it will still be more than enough to get the other person excited about stargazing.